The Dubai Arena has welcomed a special VIP guest. 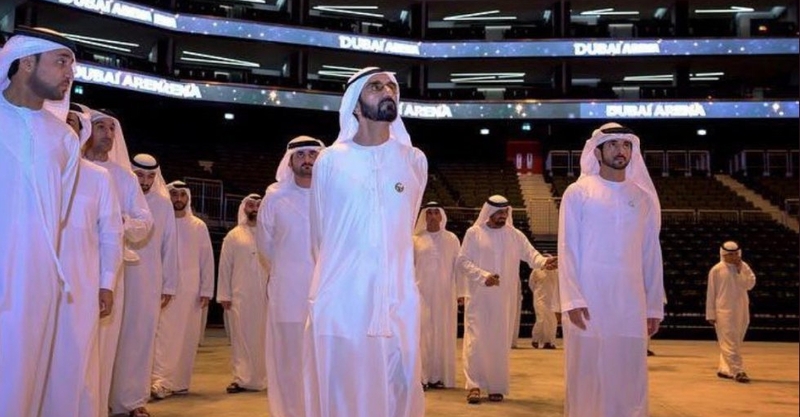 His Highness Sheikh Mohammed bin Rashid Al Maktoum, Vice President and Prime Minister of the UAE and Ruler of Dubai, visited the new multi-purpose venue located at City Walk. He was accompanied by His Highness Sheikh Hamdan bin Mohammed bin Rashid Al Maktoum, Crown Prince of Dubai and Chairman of the Executive Council. The indoor arena is the largest of its kind in the MENA region.